This week is Children’s Book Week in the USA and today also happens to be ten days before the final voting session opens for the finalists of The People’s Book Prize. As you all know, The Rise of Agnil is among those finalists. In celebration of both those events, I’ve put The Rise of Agnil on Amazon free from today, 5th May, until the 9th May. 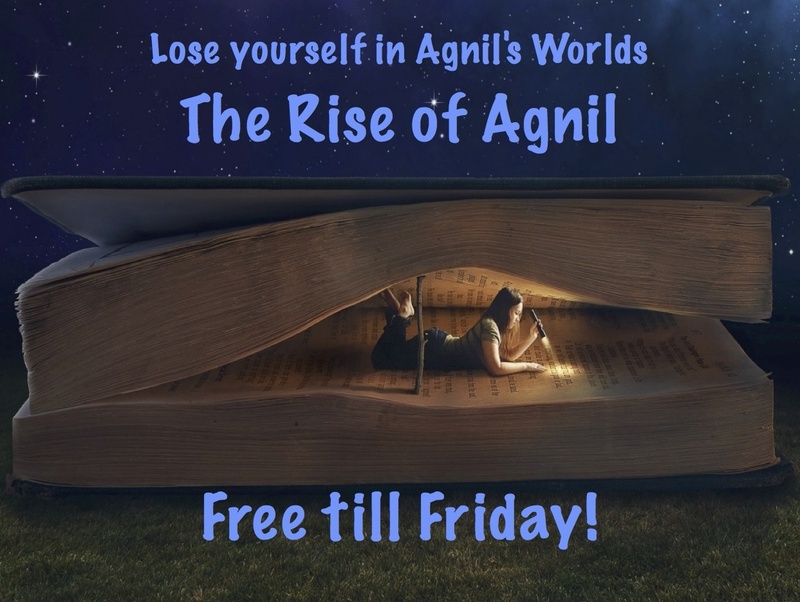 OK, so maybe I’ve gone a bit crazy, but with half term coming up in the UK I thought that maybe some of you like might a free read to introduce you to the Agnil’s Worlds series. So, if you haven’t already got it, pop along to Amazon and grab yourself a copy of the Kindle version! It’s free until Friday the 24th October so tell all your friends to grab it too, while you all can! Don’t forget I can even sign Kindle copies of your books. All you need to do is pop along to the Authorgraph site and request it. It won’t cost you a penny!